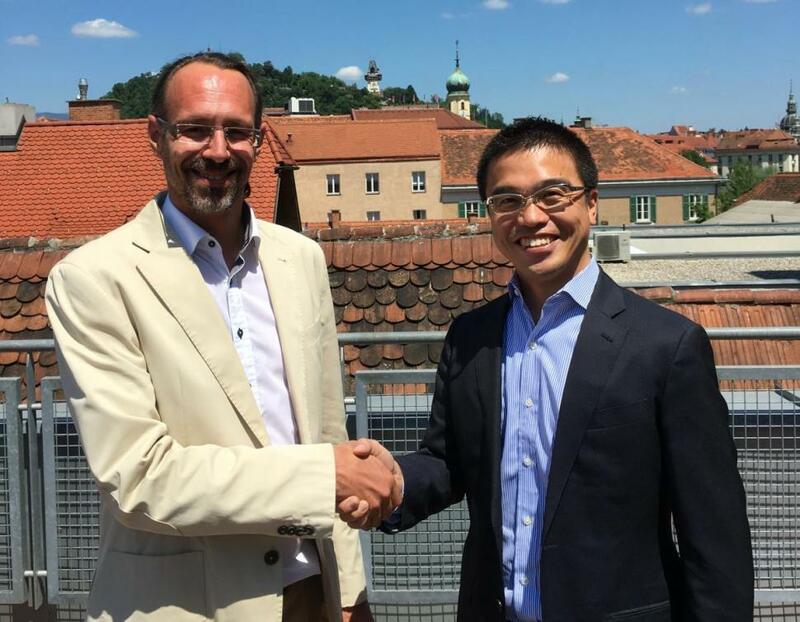 Perception Park and LinX Corporation have signed a partner agreement for offering the unique hyperspectral data processing tools of Perception Park in Japan as well as in the South East Asian countries Malaysia, Philippines, Singapore, Thailand and Vietnam. With the Perception STUDIO, the world’s first Chemical Colour Imaging (CCI) tool, hyperspectral cameras becomes useable in the same way as state-of-the-art vision cameras. By means of the CCI technology hyperspectral cameras now get widely spread into the huge industrial machine vision market. ”Together with our partner LinX we are happy to serve the high-tech market of Japan and to have a strong representation in 5 of the 6 ASEAN tiger countries”, Markus Burgstaller, CEO of Perception Park says. The Perception STUDIO is an easy-to-use software suite for the industrial use of hyperspectral cameras and for the application of Chemical Colour Imaging. The Perception STUDIO is the first tool that enable the machine vision community to apply hyperspectral cameras without the need for experts of spectroscopy and chemometrics. In a visually guided workflow the Perception STUDIO gives full control of the application development and provides a direct feedback on every action set. By plug & play the Perception STUDIO takes fully care about camera integration, standardization and calibration. The Perception STUDIO supports industrial interface standards to provide full compatibility. By using our real-time engine an application can be directly compiled for high-speed applications like sorting. „The unique Chemical Colour Imaging tools of Perception Park perfectly fits our professional machine vision product portfolio“, Mr. Kei Murakami, President of LinX Corporation says. Over many years, LinX has developed world-class expertise in machine vision, real-time control, PLC / motion, and different software development tools. The entire sales and technical staff possess highly-skilled engineering backgrounds and experience, as well as a deep understanding of the technologies utilised. The depth of expertise uniquely positions LinX to provide unparalleled services to its customers.